New Castle residents will be happy to know that Mesotherapy is now available in town. This non-surgical, cosmetic treatment can be availed easily by fixing up an appointment with the technical expert. There is now no need to move out of town for treatment. The entire treatment right from the start till the end can be easily availed within the city. It is a series of injections to break up localized fat deposits, reduce cellulite and body contouring. It can also help in reviving hair fall and reduce pain in both men and women. Females, also in the early stage of Androgenic alopecia and who want to enhance hair growth. Drugs are injected in multiple, low doses each week or twice in a week into the scalp so the blood circulation of that improves, leading to a vitamin boost. 6 – 8 sessions of this therapy is ideal for the best outcome. The risks are quite low there have been no fatal incidents reported till date. The risk factor increases when untrained professionals or relaxed guidelines come into the picture. Almost anyone can. However, those having diabetes, haemophilia, pregnancy, skin ailments, etc. should opt mesotherapy as this can further affect their condition(s). Of course, other treatments can be continued along with mesotherapy. Usually, Finastride, Minoxidil and Botox injection can simultaneously be used while undergoing this procedure. This may not be very common for men, but this is definitely becoming popular by the day in the treatment of hair loss among males. 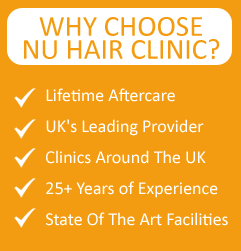 This is a very effective non-surgical procedure for the treatment of hair loss among females. It further helps to thicken thin or dull hair as well. Patients are normally instructed not to go for makeup till 4 hours after the procedure. They are also advised against hot showers for the next 6 – 8 hours. A high protein meal is recommended and caffeine and other stimulant(s) are to be avoided prior to the treatment. A low sodium diet is advised for the first couple of weeks post the procedure to avoid fluid retention that might mask the result(s). Exercise is recommended post mesotherapy and the same is asked to resume almost 48 hours after the therapy. The details shared above is more than enough for the people of New Castle to figure out that this mode of treatment is a very good option for those who suffer from hair loss and one can easily get advanced treatment within the proximity. This goes for both the women and the men who can have more details regarding what they need to do by simply fixing up an appointment.